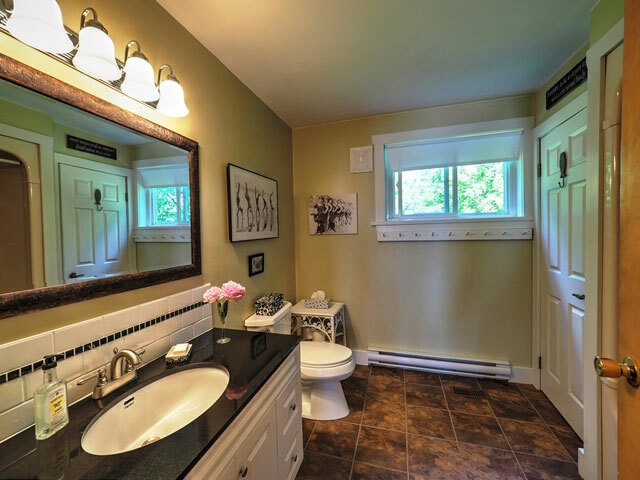 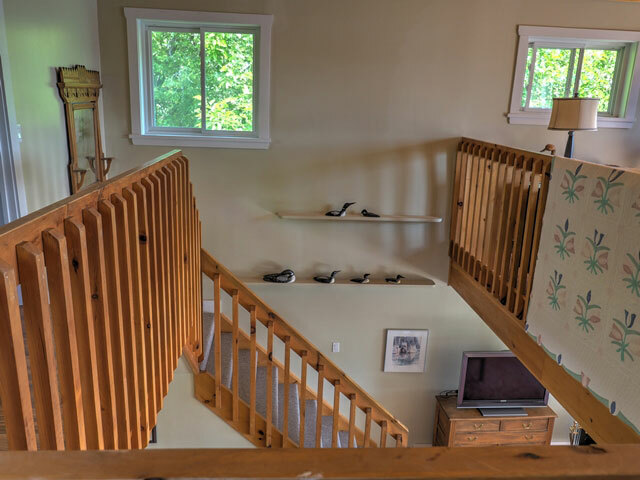 This is a bright, comfortable home that is well suited for year-round living or weekend enjoyment. 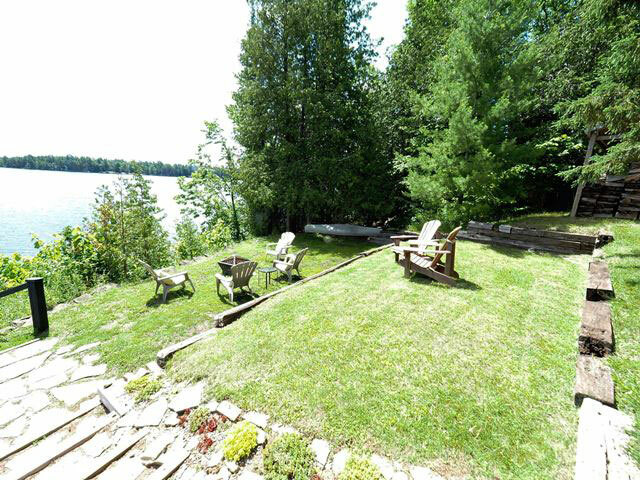 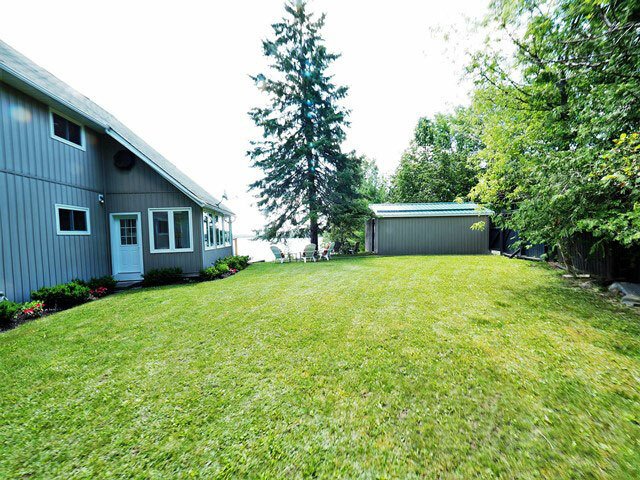 The property is near the water and slightly elevated to provide excellent eastern vistas over Head Lake. 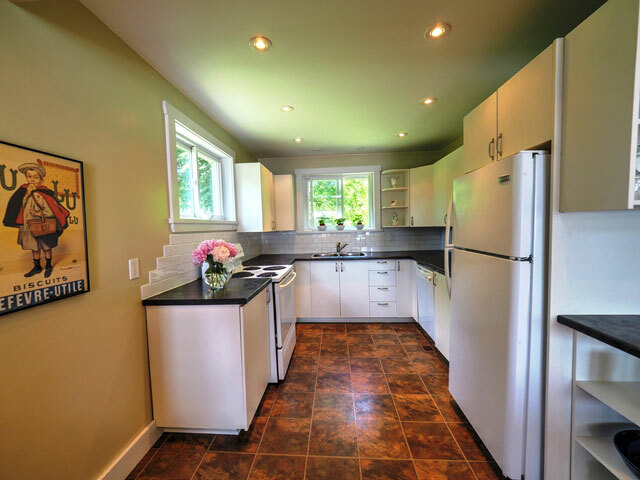 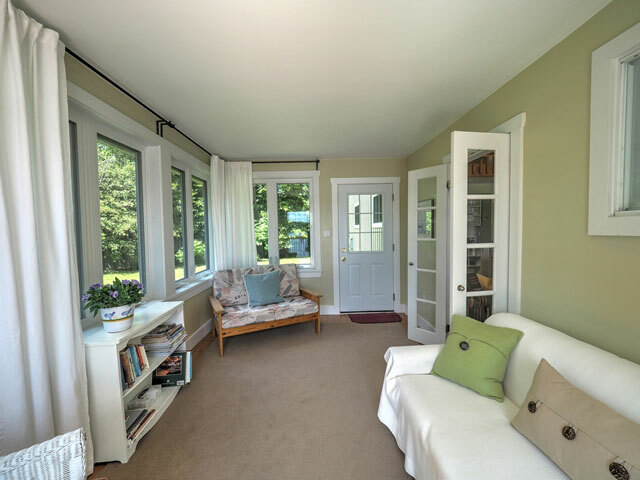 The main floor has open concept living, dining and kitchen facilities, along with a bright, breezy sunroom. 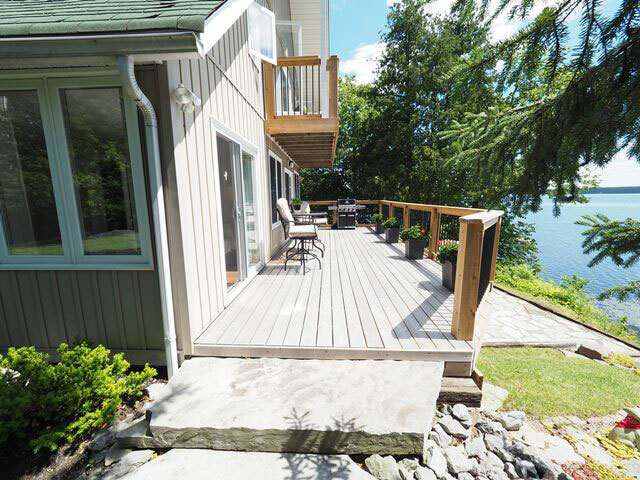 The upper level has an open concept master bedroom with lake-facing balcony, and three other bedrooms. 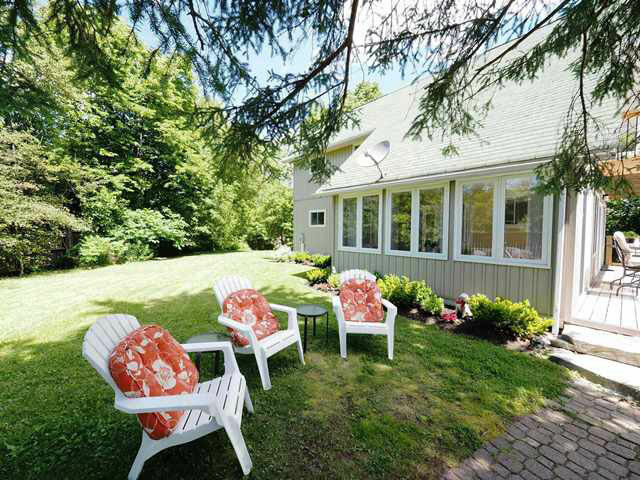 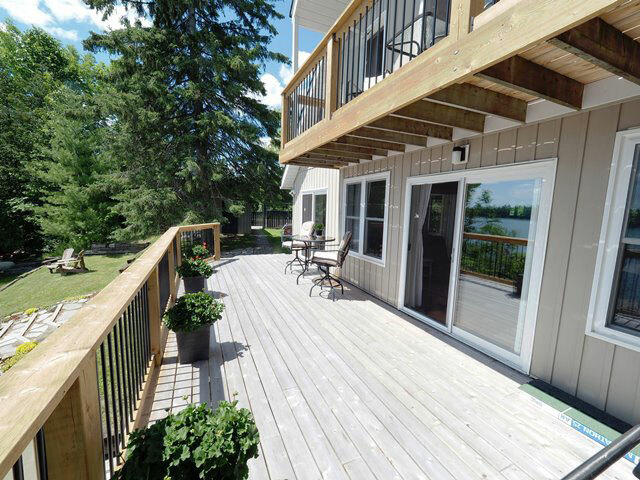 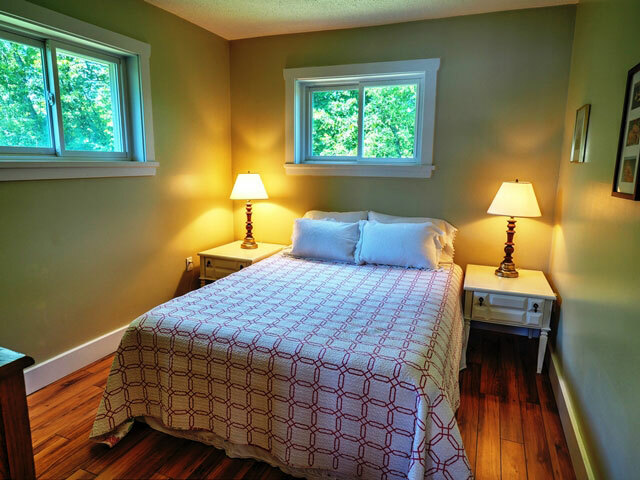 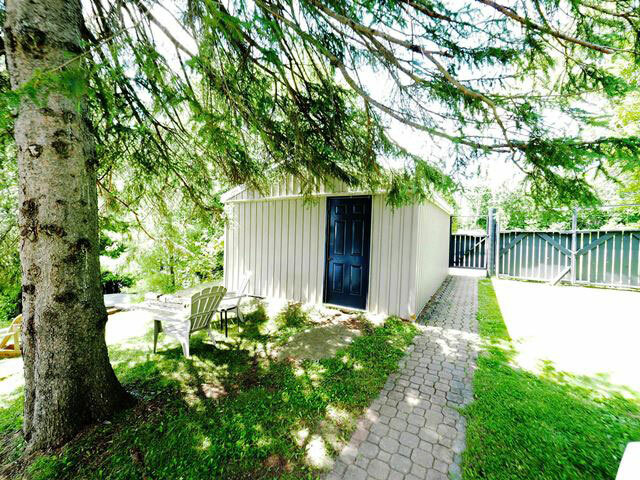 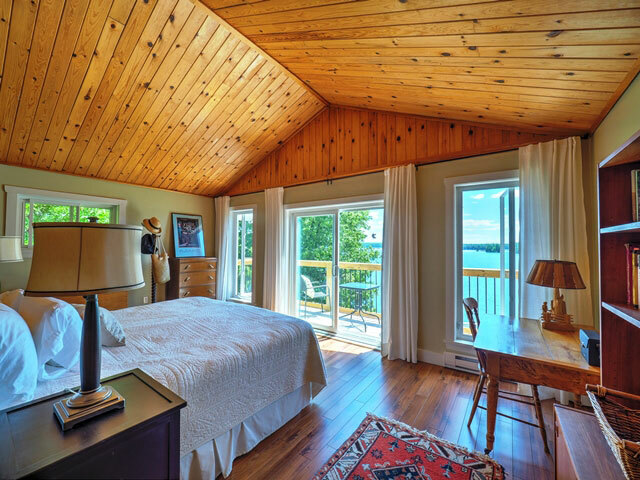 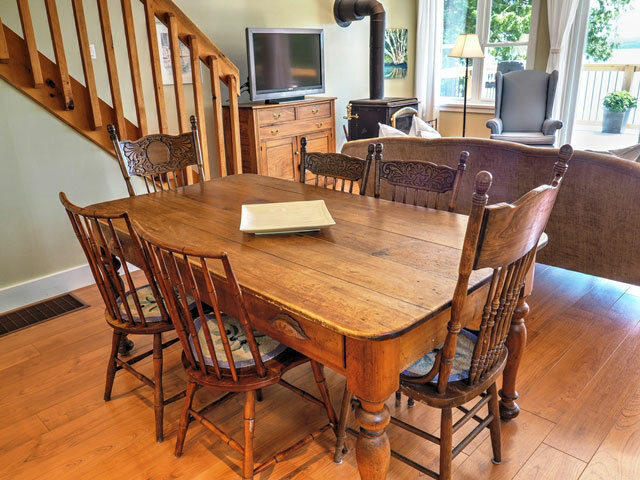 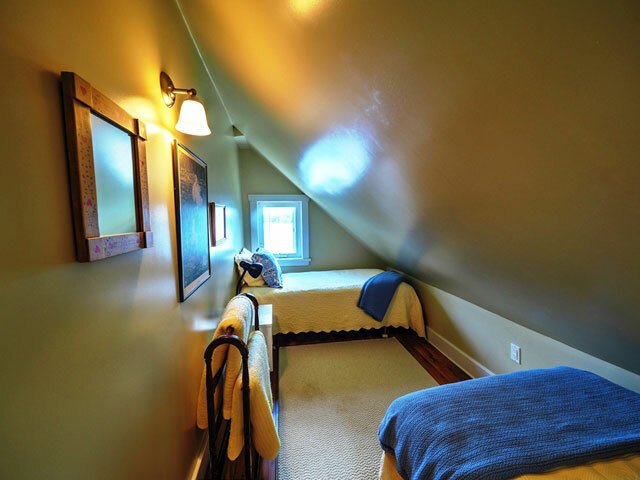 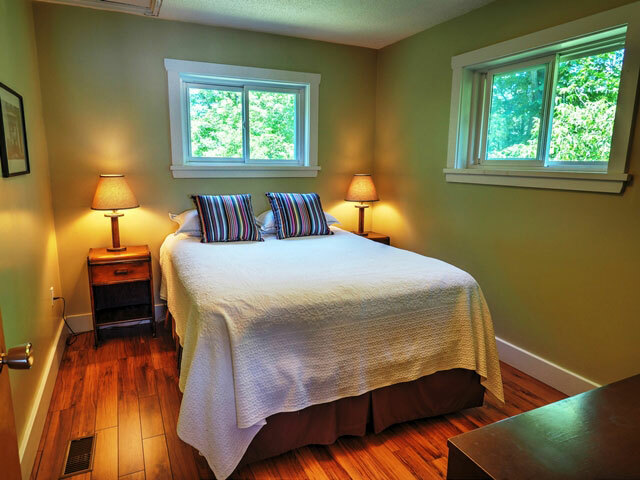 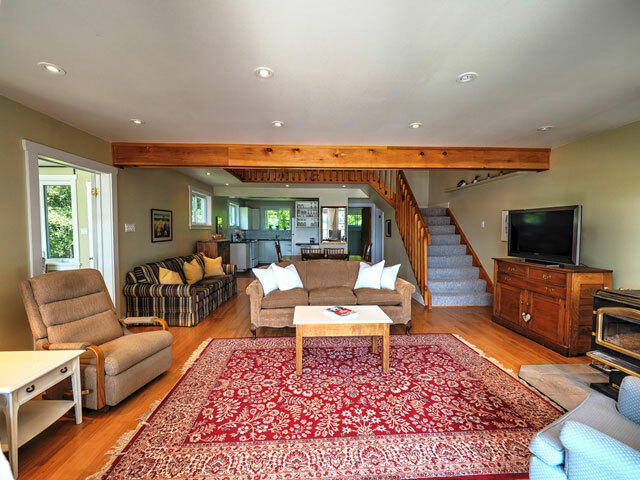 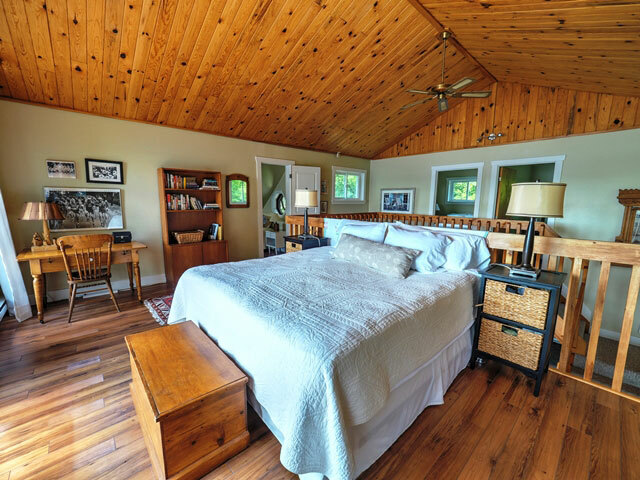 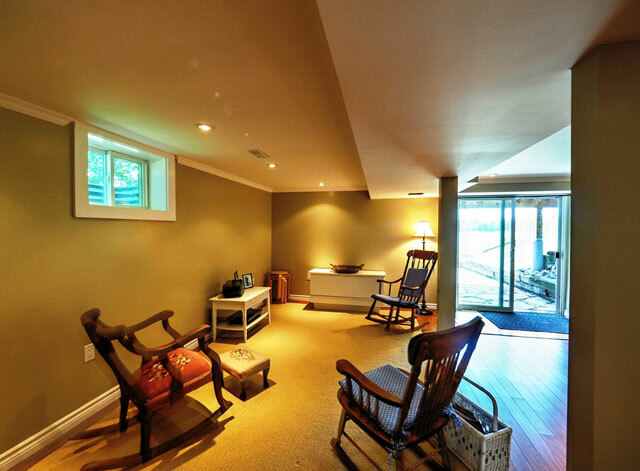 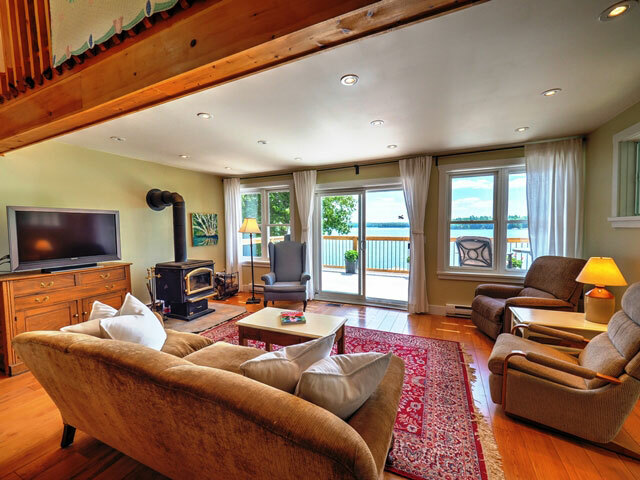 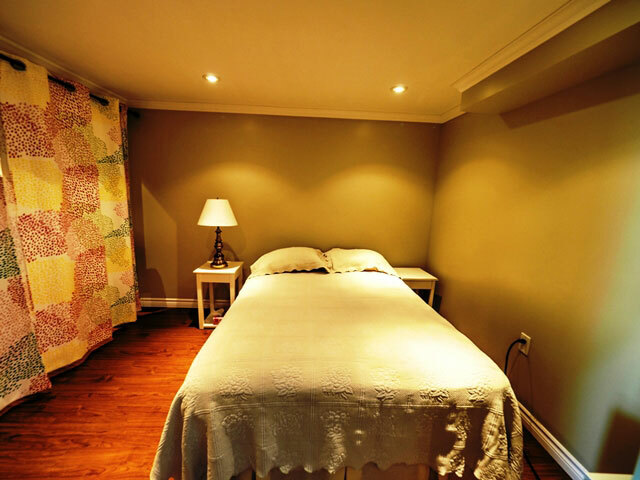 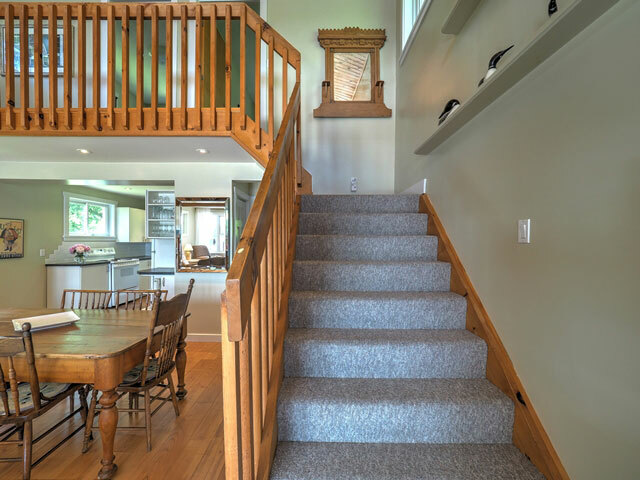 The lower level has recently been renovated and features an additional bedroom and walkout to the waterfront. 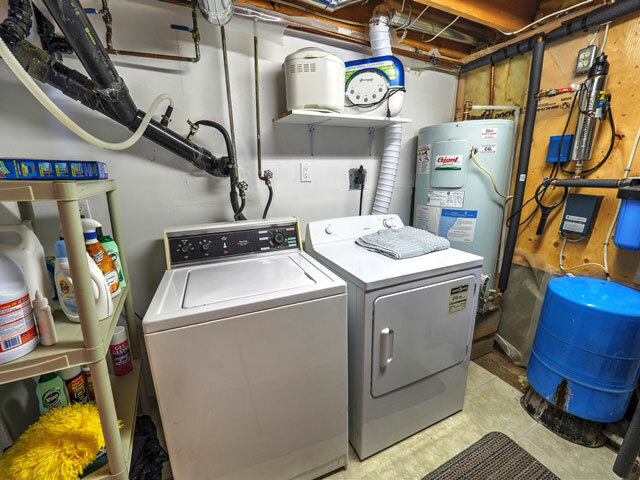 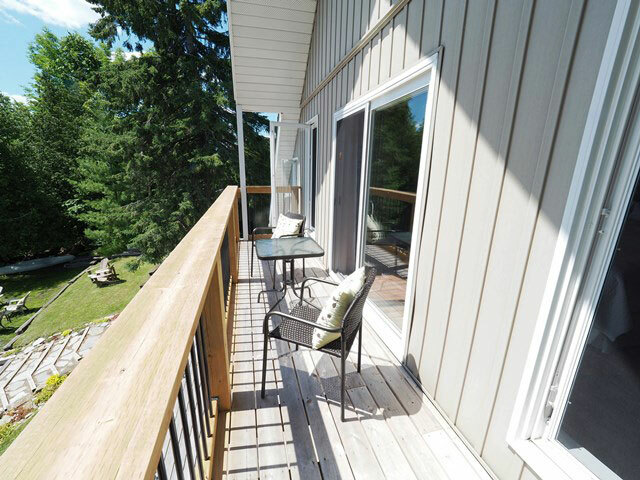 Other recent upgrades include a new deck and balcony, forced air propane furnace, metal roof on garage and stairs to the waterfront. 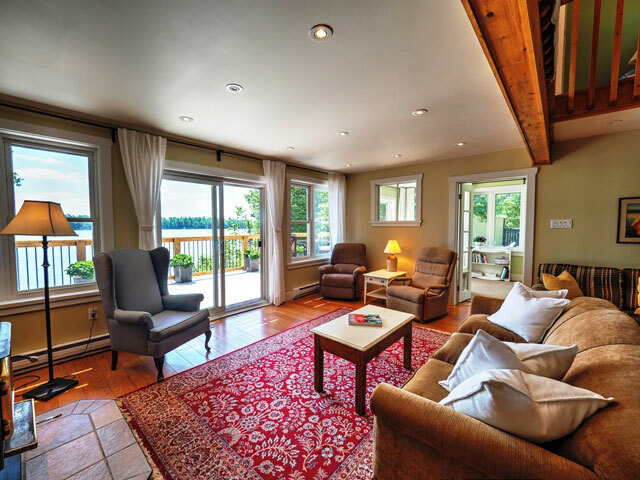 Wood burning stove (WETT certified) provides an efficient and aesthetic heating alternative in winter. 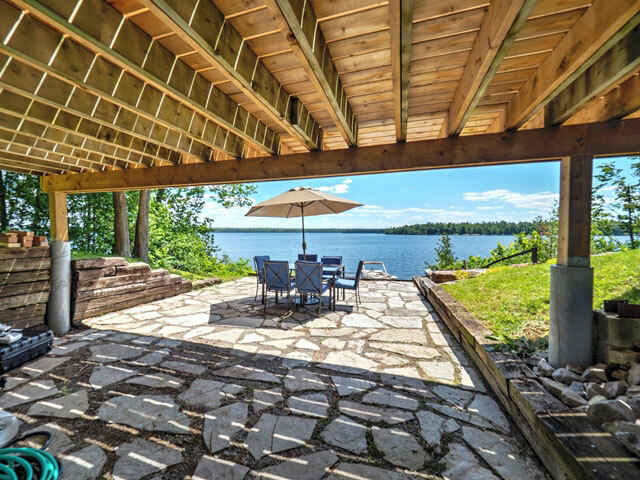 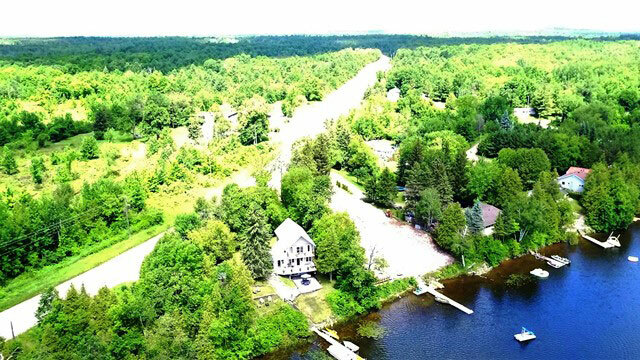 The waterfront is natural at the shoreline, with deep water off the dock that is well suited for swimming. 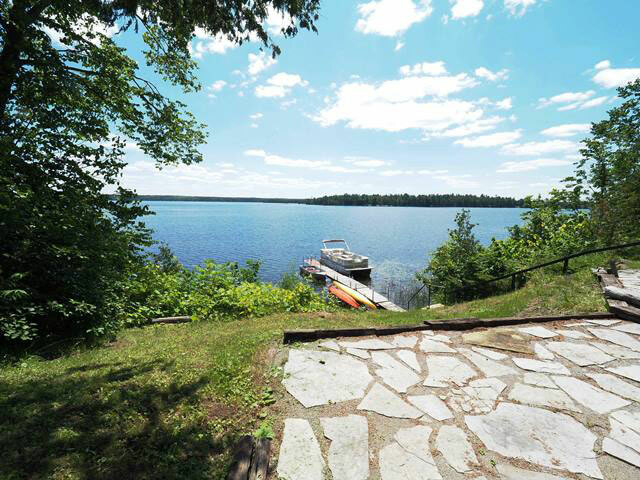 The property is being sold fully furnished including a pontoon boat and motor. 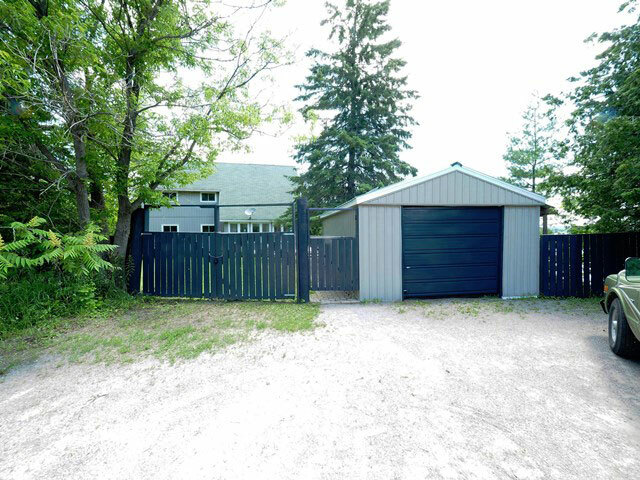 Easy year-round access from Monck Road.